Swedish artist Robert Parker takes us on a warm retro synth journey from start to finish. 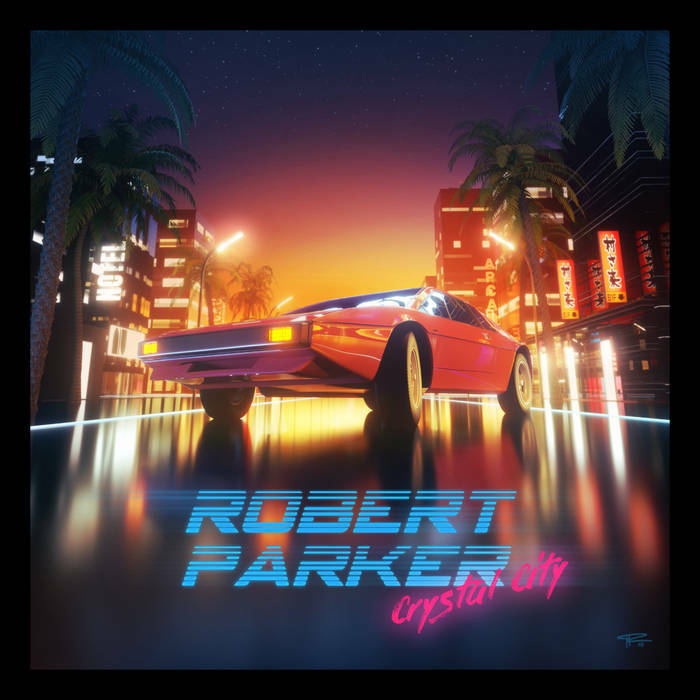 Robert Parker, nostalgic synth Dreamweaver’s latest installment entitled “Crystal City” released under Newretrowave records may be his best release to date. In this album Swedish artist Robert Parker takes us on a warm retro synth journey from start to finish. Featuring artists Include Maethelvin, Waveshaper, Bachelor of Hearts, Shyguys & Miss K.
This album goes from “classic” smooth 80’s vibes combined with an electro funk groove… to quick paced driven oriented tracks sure to bring out all that you love from the Synthwave scene. Stunning album artwork by talented graphic designer Florian Renner. You can grab yourself a copy here, digital copy or limited 12″ vinyl edition. Limited T-shirts and posters available through Bandcamp as well.